I think it is noble to wake up everyday with the hope to make a difference. Curl up with a book that will teach you how you can make a difference--one day at a time. I read the book wrongly. Instead of reading it one day at a time, I browsed through it in one sitting. Or... maybe it's not really the wrong way of reading the book. Maybe books such as Michael Norton's How-To should be "read" that way--one swift swoosh, with little post-it marks left along the way. I would recommend this book to people who love lists. If you're thinking about that bucket list, Norton's 365 tips will definitely give you a lot of great ideas to include on your things to do before you die. 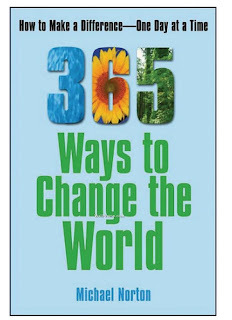 The great thing about filling up a bucket list with ideas from this book is of course the part where each and every page of 365 Ways is an idea that stands for a cause. So if you'd like to make sure that the life you live is a life lived with meaning... resonate with great helpful and some quite frankly easy to do to make that difference! I love how it even started with a revolutionary look on New Year's. "Clear your conscience," it says. Make amends, not war--timely yes? Of course a bucket list is not a bucket list if you don't include "Learn a foreign language." in it. It's a great way of making a difference (to your personal world and to the whole world itself) because languages are barriers and the more we reduce the barriers that separate us (ourselves) from interacting and forming productive relationships with our brothers and sisters from all over the world, the closer we are to building a more harmonious global society. Do something for your community. Try something new. Make your street beautiful, cleaner and safer for the little ones. Encourage walking! Wow, this book is really great in keeping the dice rolling! Explore the world and explore yourself. If science claims that we can only utilize 10% of our total brain capacity--all the more that we should make these conscious efforts to push ourselves to do more! Let's not waste away our lives. They did say that the life we're living is but a life borrowed. Don't you agree with me that the best we can do is live this life vividly? SPEAKING... I am running an eco-campaign right now. I hope you join. It's pretty simple. All you have to do is pledge to do something for the environment. Leave it on the comments and who knows, your eco-pledge might just inspire other eco-pledgers too! Click this link. 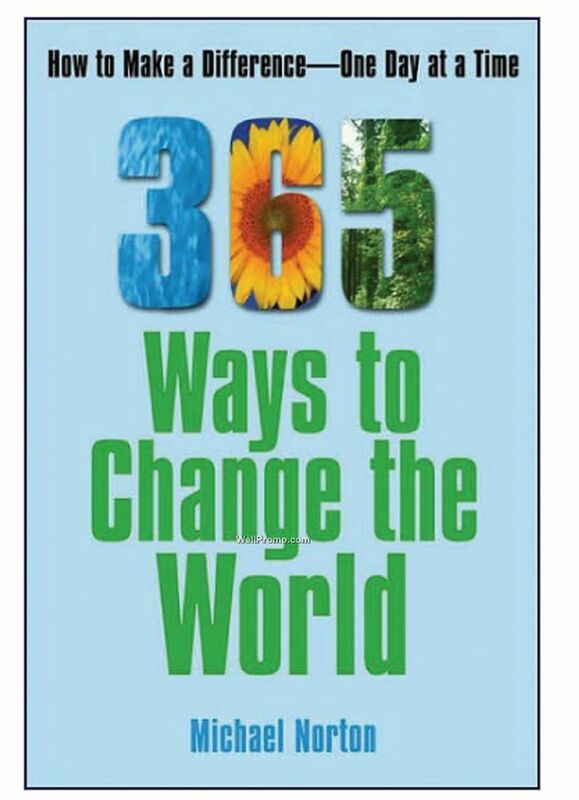 365 Ways to Change the World (Php 675) is available at Fully Booked. For inquiries, visit their website here.